Ignatius of Loyola and six of his companions founded the Society of Jesus in 1540. It was in that year that this group received formal approval from the pope, then Pope Paul III. At the age of 30, Inigo Lopez de Loyola, a Spanish nobleman, had his leg shattered by a cannon ball at the Battle of Pamplona 1521. During his convalescence in the castle of Loyola, Inigo was initially disappointed to find that there were only two books in the house: The Life of Christ and The Lives of the Saints. He read these books to pass the time, but gradually his mind was turned towards the things of God and away from his romantic fantasies. Ignatius began to notice that he felt more at peace when he entertained ambitions of doing great things for God than when he thought about his romantic conquests. After he had recovered, he began to pray, fast and do penance. He also sought to find what God was asking of him. After many adventures, he decided to become a priest and took up studies in Paris where the new “company” was born. St. Ignatius and his small group of friends went to Rome to ask the Pope for a mission to Jerusalem. 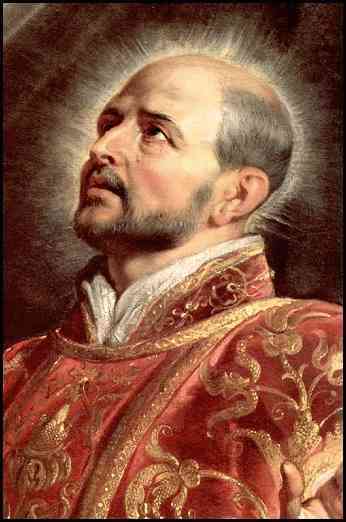 That not being possible, St. Ignatius remained in Rome to take up the governance of the new religious order. His friends were sent all over Europe as part of the Counter-reformation, and eventually throughout the world as missionaries. Perhaps the most famous of St. Ignatius’ companions is St. Francis Xavier who was a missionary in India and Japan and died just before obtaining passage to China. 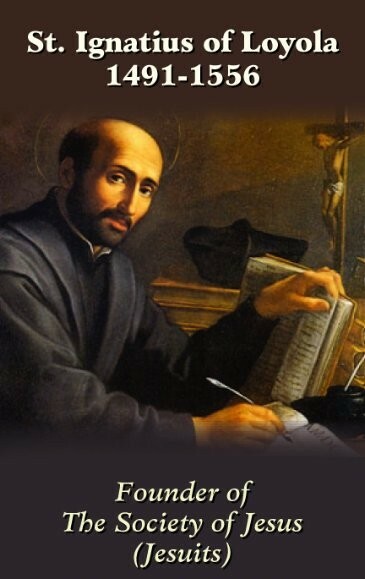 One of the distinguishing aspects of the Jesuits throughout history, and all followers of Ignatian spirituality, is the unique spiritual preparation and discipline developed by St. Ignatius of Loyola. Out of his own conversion experience, Ignatius began to write a manual of “exercises” to deepen one’s relationship with the Lord. The Spiritual Exercises of St. Ignatius Loyola is a classic of Christian Spirituality and the hallmark of Jesuit preparation. Today people in all walks of life are discovering its rich treasures and making it their own resource to spiritual growth. Jesuit Education is known in the world. The most important apostolate of the Jesuits was and is educational apostolate. In South Asia we have hundreds of primary and secondary educational institutions. All these are linked together under Jesuit Educational Association of South Asia (JEA SA, www.jeasa.org). The current JEA Scretary is Fr. Sunny Jacob SJ (JAM). The JEA Secretariate is in New Delhi, in the POSAs official residence/office. The JEA consists of all the Provice Co-ordinators. For the smooth and effective functioning the JEA is divided into 4 Zones: Southern, Central, Northern and Western Zones. Each Zone is having a Zonal Coordinator (see below), who inturn communicates with the JEA Secretary. Jea Secretary visits all the Zones and provinces to see the implementation of the Vision and Mission of the Society. The JEA Secretary is also a member of the INTERNATIONAL ASSOCIATION OF JESUIT EDUCATION. He is also the ex-officio coordinator of Jesuit Alumni Association of South Asia.